The National Science Foundation (NSF) is an independent federal agency created by Congress in 1950 "to promote the progress of science; to advance the national health, prosperity, and welfare; to secure the national defense…" With an annual budget of $7.2 billion (FY 2014), we are the funding source for approximately 21 percent of all federally supported basic research conducted by America's colleges and universities. 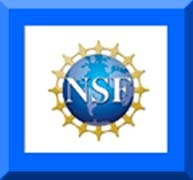 In many fields such as mathematics, computer science and the social sciences, NSF is the major source of federal backing. The U.S. Small Business Administration (SBA) helps Americans start, build, grow and capitalize businesses. In 1953, President Eisenhower established the SBA as an independent agency of the federal government to protect the interests of small business concerns, to preserve free competitive enterprise, and to maintain and strengthen the overall economy of the nation. Small businesses are critical to the U.S. economy and instrumental in competing in today’s hyper-competitive global marketplace. A fast-growing world of technologies and the extraordinary quantity and reach of content on the Internet have the potential to bring remarkable new possibilities to teaching and learning—helping teachers work smarter and making learning more engaging for students. Our schools must have modern technology infrastructure and our students must have access to the best resources—regardless of where they live—so that they are prepared to thrive in a globally connected world.Learn more about ConnectED. The South Bend Library has a special service to research grants online. It is only available at the St. Joseph County Public Library Main Branch. Ask the Reference Desk for details.